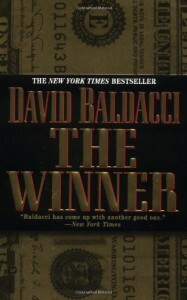 It was the first book I read by David Baldacci, and I must admit I liked it. I thought it to be interesting to read and original. Some parts were not really realistic, but it didn't really seem to matter in this book. I liked it, I would even recommend it. And it made me buy another book by Baldacci, unfortunately that was True Blue, which I reviewed earlier, and I didn't like that one.